What is a Heat Load Analysis and Why Should I Care? A Heat Load Analysis is the method used to figure out how much heating and cooling a home needs to stay comfortably cool in the summer and warm in the winter. It is used to determine the size of the HVAC system a building needs and what sort of energy cost your home should have. When it comes to HVAC systems, the biggest system isn’t always the best for a home. Different sized systems operate most efficiently at different load levels, so the ideal size of a system needs to be identified for every given home. The result of a heat load analysis is what we use to determine the size of the HVAC system that your home needs. An oversized HVAC system causes two big issues: inefficiency and air quality problems. When a system is too big or too small for the job, it ends up working harder than a properly sized one, and that means it will draw a lot more power than it should to cool or heat your home. Considering that air conditioning is usually the largest part of your energy bill, this is extremely important. 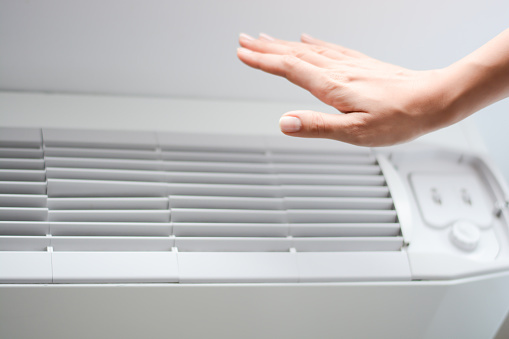 Oversized HVAC systems don’t just draw too much power trying to run low, they also can’t dehumidify the air properly. Humidity control relies on the system running optimally. Not only will that overpowered air conditioning system cost too much, it can result in overly humid air, making life more uncomfortable in your home. No home can be perfectly insulated from the outside temperature, but there are lots of possible improvements you can make to reduce your home’s heat load. If you don’t know the heat load of your home or whether your HVAC system is properly sized for it, you might be throwing away a lot of money for no reason. Contact Howard Air for a heat load analysis so you can find out what your home’s air conditioning needs actually are, and ultimately save money and live more comfortably. With So Many HVAC Brands, How Do I Know Which to Choose?